Check out some projects that can come up in the month of March moving forward, with winter behind. 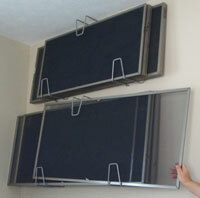 Your window screens, garage and flooring. Cleaning gutters and outside areas of your home. We cover the deck and places sensitive to the change of season. Next in line: summer maintenance checklist. For amounts, alternatives and project implications. How Much Do Granite Countertops Cost Overall? Calculate prices on labor, materials and supplies by project-unique variables. Help route water away from the home. Related: repairing gutter sags, and also, maintain clean gutters & downspouts. How to keep the wooden deck in top shape. Includes: cleaning a deck, cleaning details, and deck sealing. Proven methods to get results for your painting project. Focuses on exterior masonry and joints. And how to seal brick and re-pointing joints with notes. Please use the search bar to find a specific article of interest, though we accept suggestions.